In order to check the results online, students can visit the official website and click on the relevant link. Enter the roll number and submit the same. The results will be displayed on the screen. Earlier, the class 12 results were expected on May 24, but due to scrapping of the moderation policy under which grace marks are given to students in exams for difficult questions, the results got delayed. The Board on Friday released the result date of class 12 and said that they are hosting its results with the technical support of National Informatics Centre (NIC), Department of Information Technology, Ministry of Communications and Information Technology, Govt of India. On May 25, the Education minister, Prakash Javadekar said that the results will be declared on time. "CBSE result will be declared on time, the date will be told by CBSE. No need to worry about court's order, justice will be done for all," Javadekar said. 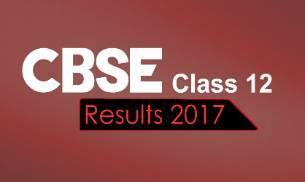 The Central Board of Secondary Education (CBSE) Class 12 results 2017 are expected tomorrow, i.e. May 27. However, the board will announce the official result dates for the class 10 and class 12 by today evening, i.e. May 27.